Sparkle with the most perfect cream polished flooring with our Niro collection. Or be inspired by original Victorian décor and get creative with our Victorian Heritage range. Looking to bring tranquility into your home, our Toscana range radiates serenity throughout these textured effect glazed porcelain floor tiles. Floor tiles shown are: Natura marble, Linear, Treverkmade wood effect, Icon, Victorian Heritage pattern tiles and Kursaal tiles for wetroom flooring. 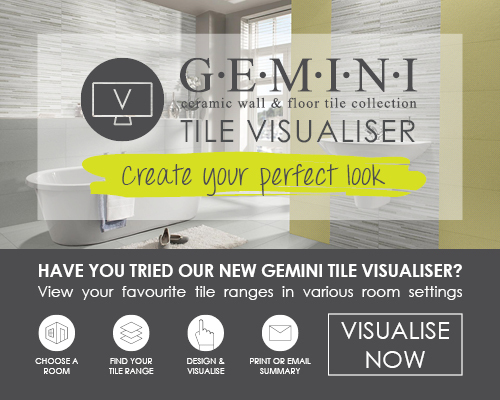 You can work out the number of tiles you need by using our floor tile calculator.